I'm so happy you're here! We're going to create some rocking Facebook Ad Campaigns together. And we're going to have a lot of fun while we do it. Each video walks you through step-by-step how to create and setup effective targeting groups on Facebook. 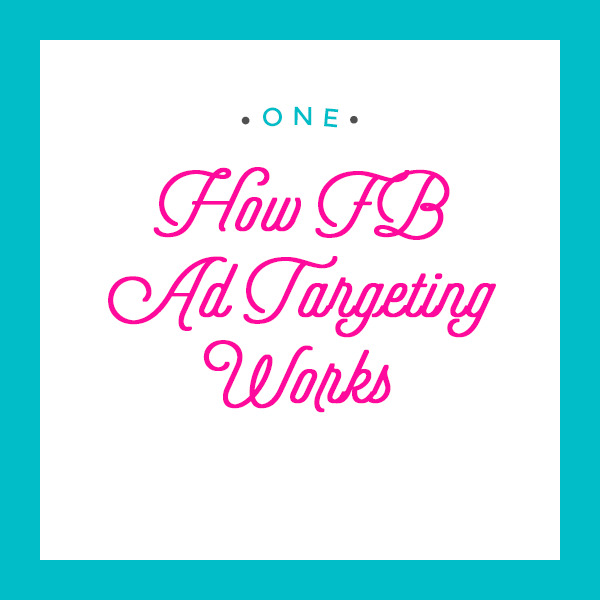 Even if you've never setup an ad or have no idea who to target - everything you need to know is here. Go through the videos at your own pace. And feel free to re-visit them as you create new campaigns. Learn how the different targeting options work so you know exactly when to use them. No more guessing and trying figure out the best to find your customers on FB. I'm breaking down how each options works so you know exactly when to use it. My #1 tool for figuring out the best groups to target and how engaged they are before you even run the first FB Ad. If you're not using this, I can guarantee you're wasting money on your ads. The number of people you target with your ads can have a HUGE impact on how well your ads perform. Learn the perfect target audience size and how to setup and test different targeting groups (the super easy way). Learn how to use Lookalike Audiences to find more people like your current audience + how to use Custom Audiences to stay in front of your current email subscribers + website traffic. These are the strategies advanced FB marketers use to keep their cost low. Have a large following on Instagram that you want to target with your ads? I'll walk you through how to set a Custom Audience for your Instagram followers + the new Page Engagement Audiences. • Find Your Ideal Client Worksheet: step-by-step how to easily find your audience on FB.